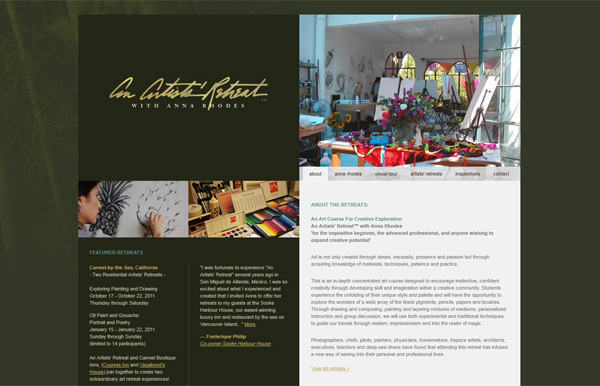 This site was created/designed at Design Hovie Studios. I helped in the creation of this website, and have now taken over updates. 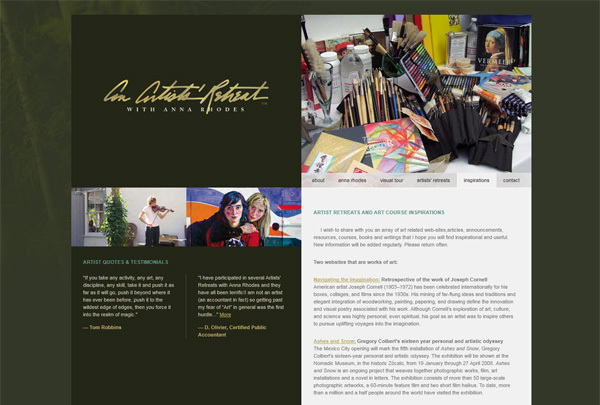 An Artists’ Retreat is a beautiful website for artist instructor Anna Rhodes. She teaches classes and does art retreats in Carmel, California. 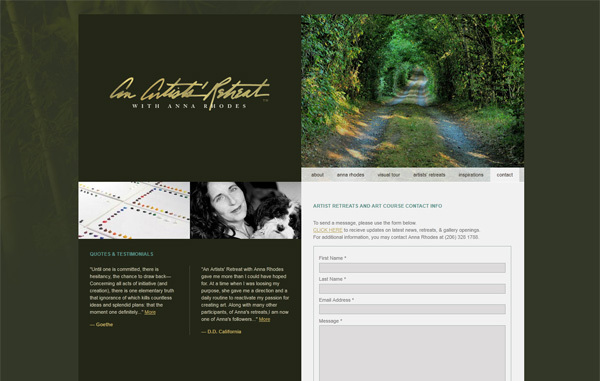 This website has been fun to update, and Anna has been a joy to work with.